It was a vision prompted by a moment in the Clarke Vs Mandy debate yesterday that was mentioned in passing in today’s papers, but without any humour. The two big hitters were speaking about how they’d cut the deficit and Jon Sopel, chairing the debate, brought up the comments of Chief Treasury Secretary Liam Byrne. Sopel: I thought the Chief Secretary Liam Byrne said there was absolutely no need to raise taxation. Mandy: No you didn’t…because I listened very carefully to what you said. 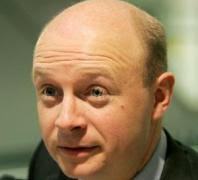 What Liam Byrne the Chief Secretary said [reading from paper] is that ‘we do not plan or propose further tax increases other than those that have already been announced in the pre-budget report’ and that is the Government’s position. Clarke: I hope Liam knows he said that. 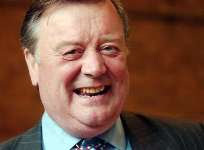 THE more I see Ken Clarke and Peter Mandelson debate against each other, the more I’m drawn to the conclusion that they would not long survive without one another. Just like a ying needs a yang, like a Nottingham needs a Forest or like an ‘eh up’ needs ‘mi duk’, Clarke needs a Mandy and Mandy needs a Clarke. I’ve little doubt that when they both leave politics they will buy a country house together and spend their days bickering and insulting one other, while sitting in rocking chairs on the porch. And if one were to die, the other – bereft of a verbal trampoline on which to bounce abuse – would simply waste away. Just a taste of the Evening Post parliamentary correspondent’s column for tomorrow. I’ll link the full shebang in tomorrow morning. I mean, I’ve heard she snores like a monster. I’ve no first hand experience of course. That delight was reserved for MPs who, with Abbott, travelled to Afghanistan last year. While the Ministry of Defence plane was delayed the MPs had to sit around in a waiting room for a long while where the member for Hackney dozed off in her chair. The joke goes that some MPs, hearing the jet engines of their plane start up, thought they were finally going to leave only to realise it was Abbott roaring away in the corner. Now that we know Defence spending has been cut, perhaps we can employ her in the warzone somehow - sit her behind a rock, let the Zs flow and the Taliban will think the bombers are coming. I just wanted to draw attention to this ammusing exchange between the Speaker and the Beast of Bolsover Dennis Skinner in the House yesterday. Mr. Speaker: Order. I have operated a very considerable latitude in these brief exchanges, and there have already been several-frankly, too many-references to the issue of party funding. The matter upon which we need exclusively to focus is that of the BA strike. I feel sure that a fine example of that focus will now be provided by Mr. Dennis Skinner. 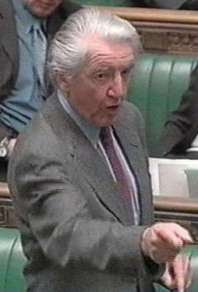 Mr. Dennis Skinner (Bolsover) (Lab): In any industrial dispute, it takes two sides to cause a row. Will my right hon. Friend draw the distinction between the clean money that is given by the trade union movement to the Labour party, as opposed to a man who refuses to pay tax on £127 million and bankrolls the Tory party? Mr. Speaker: Order. The hon. Gentleman has placed his point firmly on the record, but the Minister requires only the- [ Interruption. ] Order. The Minister requires only the briefest of replies. Mr. Skinner: Why do you only stop me and not these others? Mr. Speaker: Order. [ Interruption. ] Order. The House needs to let me address this. I must say in fairness to the hon. 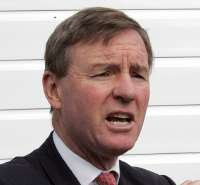 Member for Bolsover that I did not stop him. He made his point, I have no objection to him doing so. To be fair, I did not interrupt him. He had his say. Mr. Skinner: You do plenty of interrupting. Mr. Speaker: Order. I do do some interrupting when it is necessary for me to do so. There was more interrupting from the Speaker to come and more heckling of him from the benches - though the heckles weren't recorded in Hansard. Mr. Andrew Robathan (Blaby) (Con): On a point of order, Mr. Speaker. 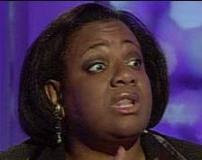 Is the expression "verbal diarrhoea" parliamentary language? I have not heard it used in this House before, and certainly never about yourself or another occupant of the Chair, as it was just now. Mr. Speaker: I did not hear the offending expression to which the hon. and gallant Gentleman refers. There is a certain amount of gesticulation now from a sedentary position both from him and from the hon. Member for Gainsborough (Mr. Leigh). The written record will tell us all, and I am happy to await it. The hon. Gentleman, who came into the House in 1992, knows-not least from his smile-that what he has just said does not amount to a point of order. 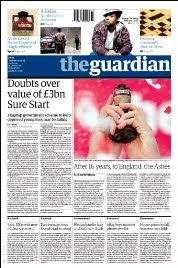 It took me a while to work out what this Guardian piece about Government plans for the DNA database was getting at. That usually means the hack has approached the story from an obscure angle – one that wouldn’t naturally occur. 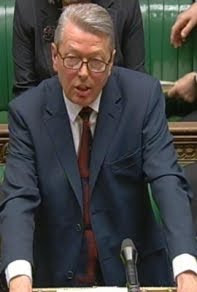 The Home Secretary Alan Johnson may sacrifice his controversial proposal for the police to store innocent people’s DNA for up to six years in order to get his crime and security bill on to the statute book before the general election. Use of the word ‘sacrifice’ suggests Johnson is giving up something he really wanted in order to pass the rest of the bill. Of course that is not the case. In fact currently the police can hold innocent people’s DNA forever and that is the way they, and the Government like it. Johnson was forced to introduce plans to limit the period police can hold innocent people’s DNA to six years because the European Court said the current situation breached human rights. Alan Johnson is planning to defy European law by allowing police to continue indefinitely holding innocent people’s DNA on the UK’s national database. Alan Johnson will delay plans to limit the time that the police can hold innocent people’s DNA on the UK’s national database – leaving it in contravention of European law. Lobbydog has been chatting with all sorts of MPs today about their party leaders – gripes abound. Both Labour and Tory members felt their own leaders were making big mistakes. From the opposition there was irritation that Cameron had failed to capitalise on the polls lead he enjoyed a few months back. But there was also growing concern at his style of leadership – not even letting most of the shadow cabinet know what was going on let alone involving the parliamentary party. That might have been ok for Blair in 97, they said, when there was a Government with a large majority. 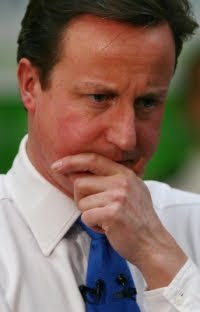 Cameron, they pointed out, should remember who he will rely on if he has a majority of less than 30. As for Labour I spoke to two people today who said the Government needed to outflank the Tories on spending cuts. Trident should be cut, for example. Winter fuel allowance might be rolled into pension benefits – meaning the most needy would still get the same amount of money, but that savings could be made on admin and pulling it back from those who didn’t rely on it. With a few steps the Government could look tougher on spending without hitting the core Labour vote too hard, they claimed. But Brown seemed to be incapable of taking certain steps and the current line, claiming that spending would simply continue, they said, was making them look dishonest. Now feels like a good time to remind Labour party chiefs and contenders in the approaching contest in Ashfield for the party's candidacy of a little Nottinghamshire history. Ashfield Labour members have been kicking up a fuss over what they claim are attempts to shoe-horn a candidate – TV presenter Gloria De Piero – into their constituency. Party members claim, for example, that De Piero has been put on a shortlist of nobodies in order to ease her passage into the seat’s candidacy. Threats have been made that the local party won’t put up with it, though they don’t seem to have been particularly heeded. But Ashfield has form when it comes to rebelling against Labour candidates. In 1977 there was a by-election in the seat – which at that time supported a Labour majority of almost 23,000. Yet the Labour candidate lost the seat by 264 votes on polling day. Some Labour bods I spoke to claimed it was because the party misjudged how safe the seat was and diverted campaign funds elsewhere. But a key factor, I’m told by locals, was actually that many Labour voters deserted the party because they “hated” their own candidate – who was a particularly divisive Notts politician called Michael Cowan. Cowan later defected to the Tory party. After years of ‘taking one for the team’ by putting up with Geoff Hoon, it’s understandable that they’d want a proper say in choosing the next politician who would speak on their behalf. Could we be in for another 1977? 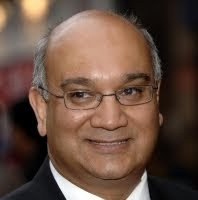 Rumours are swirling around that another Labour MP in Nottingham will announce he is standing down at the election. Nottingham East MP John Heppell – a Labour whip – is said to be strongly considering the move. Heppell has been around in the Commons since 1992 when he won his seat from the Conservative incumbent. 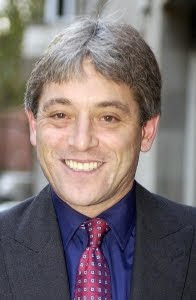 If the rumours turn out to be true he will join a string of Labour MPs from Nottinghamshire that say they’ve had enough. Nottingham South’s Alan Simpson, Sherwood’s Paddy Tipping and Ashfield’s Geoff Hoon are all calling it a day. Meanwhile Mansfield’s Alan Meale is also said to be considering retirement. If Meale and Heppell do stand down then that’s five out of eight Labour MPs in the city and county who will be retiring.